If you’re a serious lifter then you know heavy lifting puts extreme stress on your muscles and joints. It’s for this reason that it’s essential to provide your body with the firepower it needs to come back ready for the next battle. Soybean Oil, Gelatin, Glycerin, Soy Lecithin, Caramel Color. Contains Soy, Fish (Sardine, Anchovy) And Shellfish (Shrimp) Ingredients. 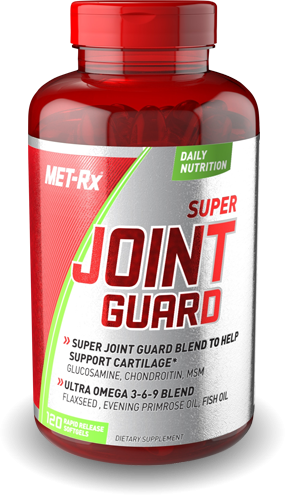 Directions For Super Joint Guard: For adults, take four (4) softgels once daily, preferably with a meal. As a reminder, discuss the supplements and medications you take with your health care providers.